These plates are the later Imperial type, made from sheet and in use from the mid-1st C AD. They are 2" x 2-1/2" and have 1/8" ID rolls on either side. The Mk I plates are larger than the Mk II and III plates. Thus, fewer are required per belt. 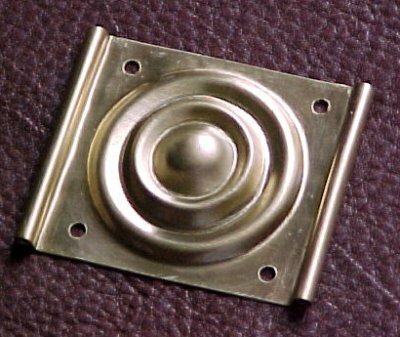 They have an embossed design of concentric rings-a popular motif at the time. 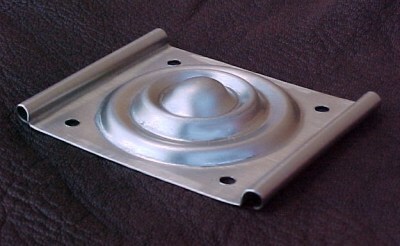 These plates are available in a standard version and a "hinge" version (shown at the bottom of the page.) 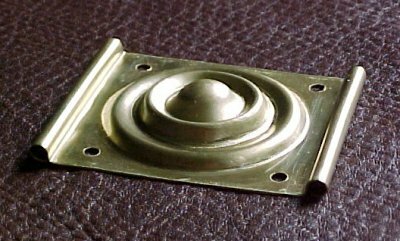 The hinge version has one extended side that is rolled over to the back so that it may be riveted in place and cut for a hinge. 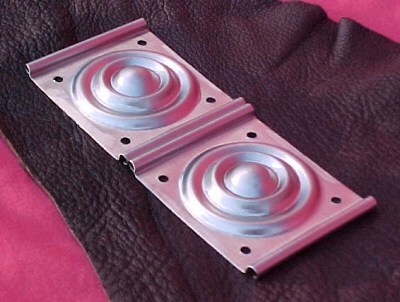 These plates were used to attach the belt buckle and the pugio (dagger) attachment discs. 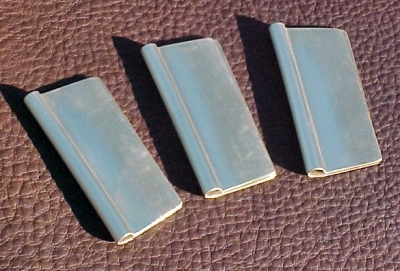 If a pugio is worn, three are required per belt. If no pugio is worn, one is required per belt. Adapter plates are also available. 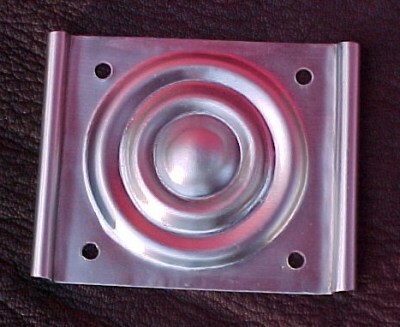 These can be riveted behind a standard belt plate (or one of your own design)so that a strong hinge may be formed. 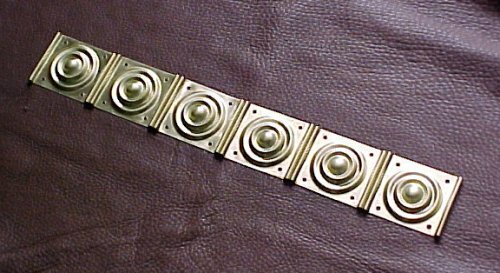 They are available in various sizes to match different size belt plates. 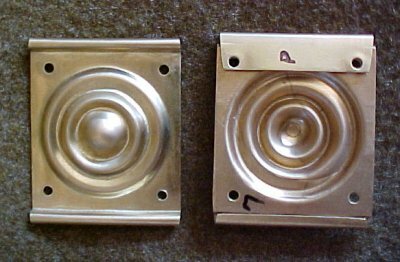 Plates shown in brass and nickel-silver.